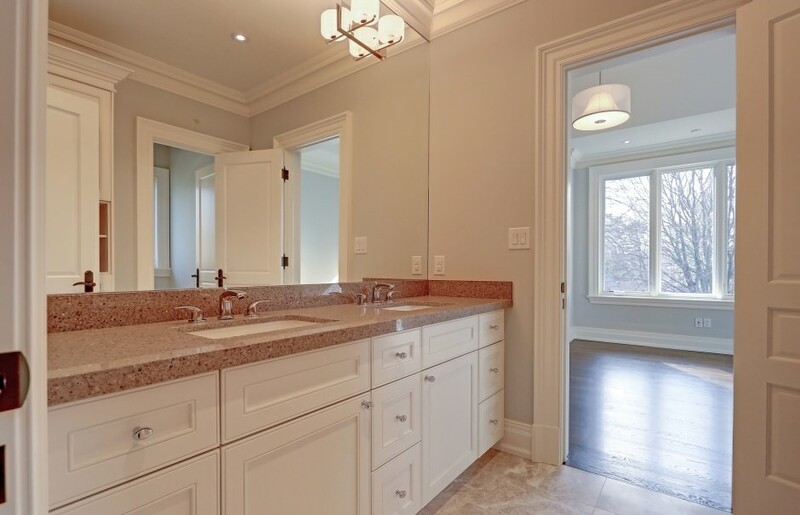 Custom home in prime South East Oakville neighbourhood. A circular drive and stylish stone façade lead to an impressive two-storey foyer with marble tile flooring, wainscoting, and an oversized designer chandelier. A den with vaulted ceiling and Oak hardwood flooring is quietly tucked away through double half French pocket doors. A colossal window floods the open concept living and dining rooms with natural light. The living room’s cast limestone gas fireplace is just one of five throughout the home. A gorgeous tray ceiling with scalloped edges adds an elegant flair to the dining room, which has convenient access to the servery and wet bar. The gourmet kitchen with oversized island boasts custom soft-close cabinetry, marble countertops, and the highest end appliances – from WOLF to Sub Zero. An airy breakfast area, with double French door walkout to the covered patio and rear yard, opens to an expansive family room with built-in entertainment centre. Natural light has been maximized throughout the home, with rows of windows overlooking the South facing rear yard. The main level laundry room simply sparkles – an effect of the unique two-tiered Quartz folding counters and under cabinet and mini halogen pot lighting. 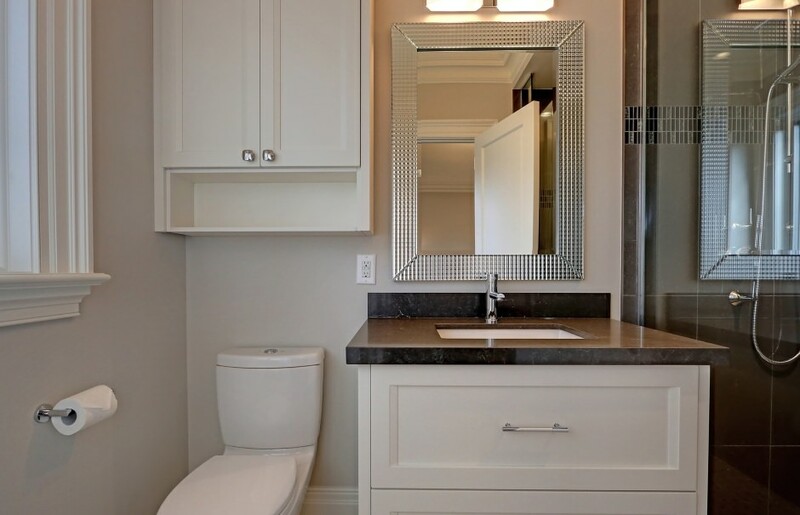 A stylish powder room with modern chandelier and over-mount sink with infinity drain is privately located. The mudroom has been functionally designed with inside access to the double car garage, as well as additional access to the lower level storage areas. The brushed wire slate tile flooring, custom bench seating, walk-in closet, and dog shower maximize the utility of the space. An Oak staircase with rod iron spindles leads to a second level landing with oversized skylight framed by custom paneling and double-height crown molding. The master bedroom boasts a boutique-like walk-in closet, gas fireplace with marble mosaic surround, and spa-like five-piece ensuite with separate water closet. Three additional bedrooms, four additional walk-in closets, and two additional full baths complete the second level of the home. The fully finished walk out lower level is a combination of an entertainer’s dream and a family’s quiet retreat. The massive recreation room features a custom bar with antiqued leather finish granite countertops, and a temperature controlled wine room. Watch a movie in the theatre room with two-tiered seating, projection technology and 7.1 surround sound speakers, or relax in the health centre complete with massage room and sauna. 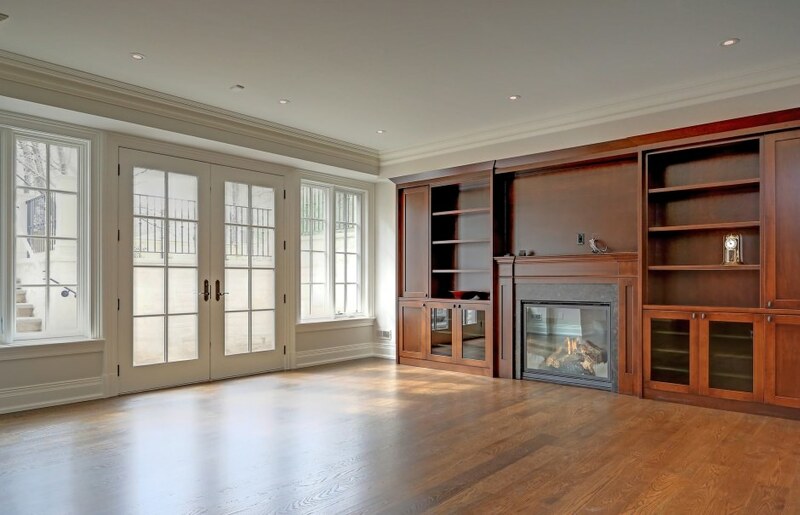 A fifth bedroom with gas fireplace, and three-piece bath provides a private space for guests to stay. The fully fenced rear yard boasts extensive hardscaping and professional landscaping. Control this smart home on your Apple products - from sound system and lighting design, to home monitoring security cameras. No modern convenience or desire has been overlooked!